There is no feeling that will amount to the excitement you get from driving your first car. Whether it is your first car or a brand new car, go through these tips to get an idea on how to maintain it. Oil to the vehicle’s engine is like food to the human body. And it is always a great idea to change oil once in every three months after every 3000 miles if you wish to maintain your car in a good shape. However there are times where you need to pay more attention to the oil. If you often ride in dust-filled conditions or drive frequently in slow moving traffic, you need to change your oil regularly. These short trips that do not let the engine heat up might drink up all the oil that is in the system. In order to maintain your car running great ensure you do regular oil changes. Every car deserves some pampering. And if you are not yet ready to put your vehicle through wear and tear, regularly scheduled visits to a well-reputed body shop like Autoco body shops is advised. Also make sure that these service centres are renowned and operated by reliable professionals. The purpose of the transmission is to make your vehicle move by transferring more power to the wheels from the engine. 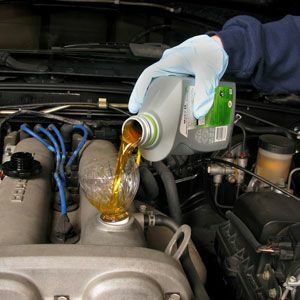 This can be maintained by regular check-ups of the transmission fluids to help run the car smoothly at all times. Batteries store the necessary power that is required to start the engine of your car. And once the engine starts to run the alternator in the car keeps re-charging the battery for the next start. Maintenance of the battery includes cleaning it and securing it so it does not vibrate and keeps the connections clean and properly tight at its terminals. Checking the water level is necessary too. How Important Is Taking Care of the Emission System? The emission system of your vehicle runs through the entire length of it. In the process of passing on the exhaust away from the engine and the cabin, the emission system analyses the gases in the car and refines them into less harmful gasses and water vapour. And these are directed through the dampers to bring the noise to a minimum. And as you can realize there is a lot of wear and tear down there. Have your emission system examined every year for an efficient and a smooth drive. How Important Is the Climate Control? Since the cooling and the heating air conditioning systems in modern vehicles are integrated, the climate control system works hard all year long. And the climate control directly affects the comfort of your drive all the time. The air conditioning system of the vehicle works like a refrigerator. It pumps Freon gas via an evaporator located under the dashboard. The Freon tends to absorb the heat from the passenger compartment and it circulates through the condenser only to release through the front grill.